TaxiTel is one of the leading Trivandrum travel agents and provides taxi services in Trivandrum, Kerala in addition to luxury cars for weddings as we provide highly competitive, customer-friendly, and reliable call taxi in Trivandrum services in and around Trivandrum. We offer the easiest, most affordable, and safest travel in the city and outside the city. We have a wide collection of vehicles that consists of both mid-range and luxury cars that can be hired for Sabarimala tour packages and Kerala family tour packages purpose. 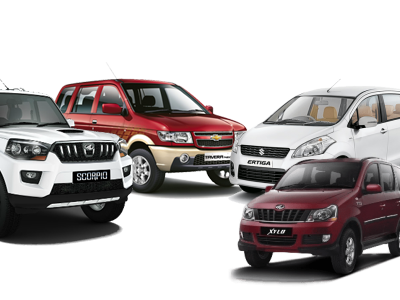 Our taxi services Trivandrum vehicles are cleaned and maintained properly before making a trip. Also, our drivers are polite, honest, knowledgeable and, trustworthy. TaxiTel ensures that your travel experience via our cabs in Trivandrum will be a pleasant and memorable one. If you are exploring a tourist destination in Trivandrum for the first time then we can provide you with a qualified guide who will be with you right from the time you land to the time you leave and for your convenience we also provide wedding cars in Trivandrum, wedding cars in Kerala and marriage cars in Kerala. Whether traveling alone or in a group, our Trivandrum taxi cabs ensure your safety and comfort at any time. This is because our drivers are not only trained to drive efficiently on different types of roads but are also knowledgeable about the routes and places of interest, so that you do not get stuck in traffic as well as explore the attractions in depth. Also, they are friendly enough and are well-versed with languages that include English, Hindi, and Tamil. Therefore, you can rely on TaxiTel drivers as well as our cab service in Trivandrum to tour the capital city in the most efficient way. TaxiTel, exceptional tours and travel company based in Thiruvananthapuram has more than five years of experience in this field and we are proud to say that we provide premium 24 hours taxi in Trivandrum, wedding cars, cars for NRI Keralites, luxury cars on rent, and luxury cars in Kerala. We are steadfast to present the most widespread variety of tours that guarantees an unforgettable visit to God’s own country Kerala. In case the number of members in your family is more then also we have the option of tempo traveller for rent in Trivandrum for you. The team is pitched to provide the most excellent Trivandrum taxi services and taxi in Kerala services to our esteemed guests with the endeavor of making your vacation an outstanding and celestial experience. TaxiTel goes all-out to supply those tourists who long for new experiences by extending the most extensive assortment of quality tours and information in addition to proficient consulting services and supplying thrilling tours via our taxi in Trivandrum, Kerala taxi cabs, Kerala taxi services. TaxiTel provides travel amenities like rent a car Trivandrum, Kerala taxi and Kerala cabs as well. Now we are recognized as one of the top taxi services in Kerala provider in Thiruvananthapuram city. Our attempt is to guarantee that the services of TaxiTel would be completely customer centered and would preserve customer pleasure by offering our customers with premium marriage cars in Trivandrum, Trivandrum railway station taxi services, radio taxi Trivandrum and airport taxi in Trivandrum. The intention is to make family vacation tours more prosperous, more thrilling, and most outstanding. The obsession is to alter the complete situation that subsists in the Travel Market. Arrays of new services like taxi Kerala and taxi services Kerala have been brought into our scope of tours and travels that that too within a very short span of time. TaxiTel inspired the whole tours and travel services in Thiruvananthapuram with taxi Trivandrum. The alteration has occurred and TaxiTel has started its expedition to turn out to be the number one inbound tour as well as travel manipulator in Thiruvananthapuram. Taxitel also provides hotel reservations, local assistance, a driver on call, and round the clock travel as well as 24 hours taxi in Trivandrum. You can contact us via mobile (+91 9947019292, 9947029292, 9847019292), or you can email us ( taxitel@gmail.com) for knowing more about our services.